There is a magic moment at dusk when the ITER site lights up and the sky still retains some of the light of day. Details that were washed out by the intense daylight or buried in the deep shade jump to the eye as warm yellowish sodium lights, white halogen and the occasional blue-green glow of a welding torch combine to create an unreal atmosphere. 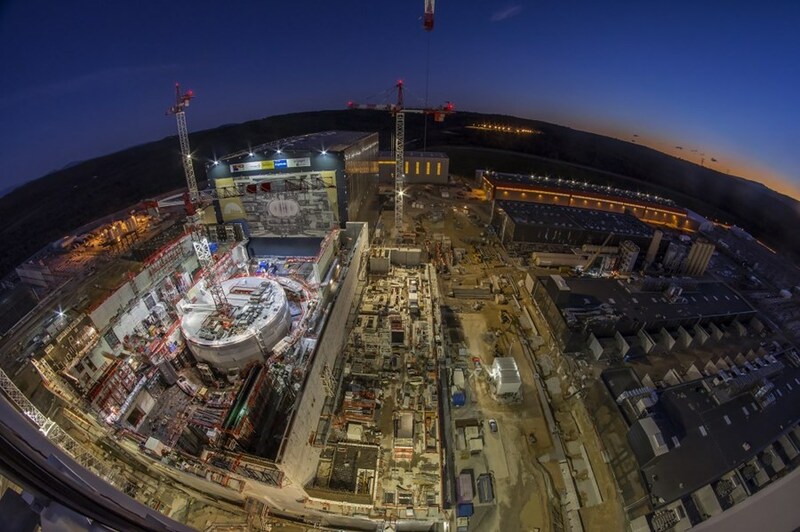 The Tokamak Complex remains lit far into the night as late-shift workers continue to advance based on the progress of the earlier team. It was a year of major progress, as the bioshield and the cryostat crown—both strategic structures—were completed. Although familiar by now, this view has no equivalent in the world. This is a giant tokamak being constructed—a unique venture with unique features that the camera loves to capture. The walk-around continues in the gallery below. 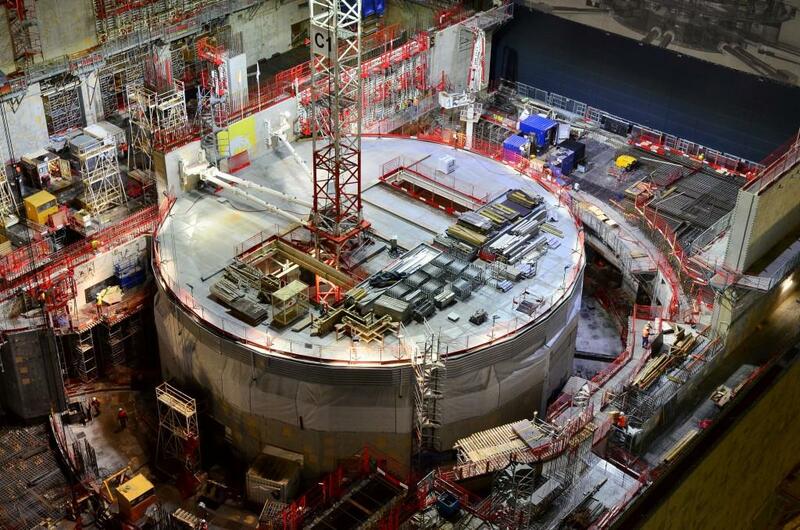 The temporary lid on the bioshield prevents us from seeing 30 metres down onto the floor of the Tokamak Complex, where the concrete crown and radial walls are in place. In 2019, 18 steel bearings will be installed in a ring to prepare for the first big lift of ITER assembly—the lowering of the cryostat base. The European Domestic Agency has completed 70% of the platform civil works. Note the work on underground galleries in the foreground; many kilometres of other galleries are already out of sight. Cryogens and electricity will be transported from the plant buildings (centre) to the Tokamak Building by overhead bridge. 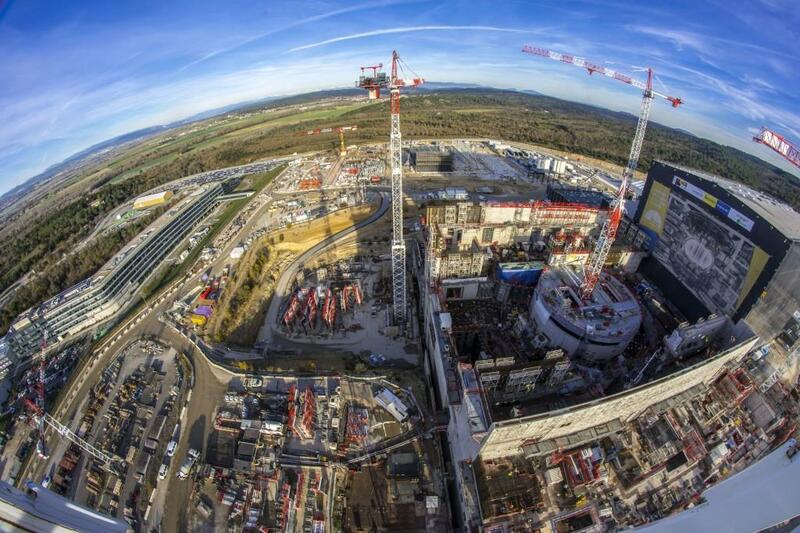 Looking north over the Tokamak Complex toward ITER Headquarters (left) and the heat rejection zone (top centre). Between the two is a space reserved for the ITER Control Building, which is under design now. 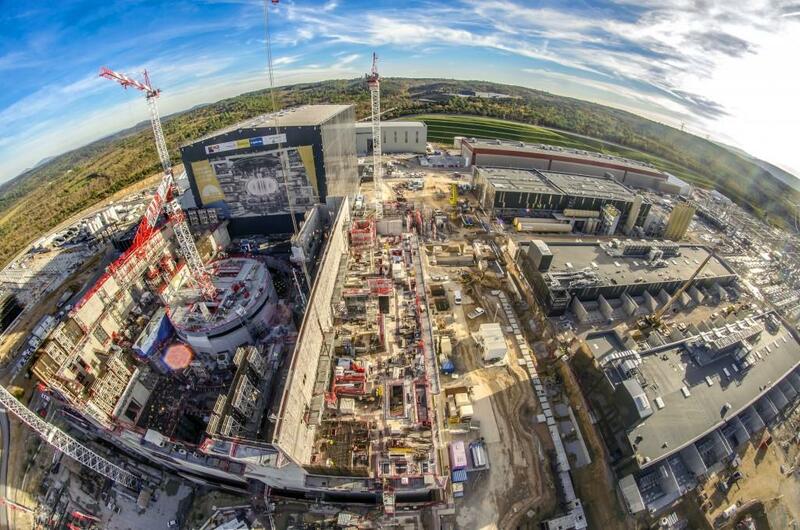 A gap between the front of the Tokamak Complex and the rest of the platform reminds us that the buildings sit on a single foundation (basemat), which in turns sits on 493 seismic pads that have a capacity for lateral movement of 10 cm. 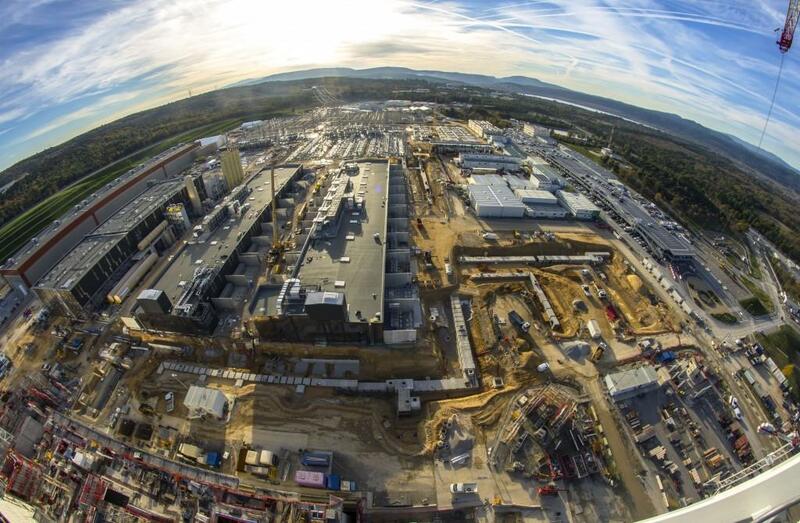 ITER's seismic foundations were constructed between 2010 and 2014; since 2014 the Complex structure has been rising.